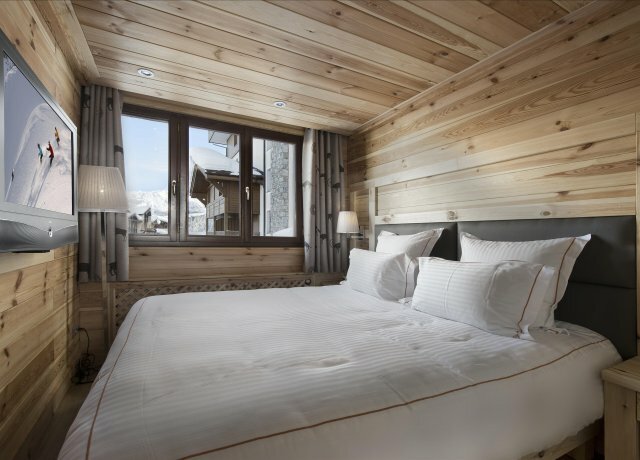 If your ideal ski holiday includes unprecedented views of the mountains and scenery, direct access of the ski-in/ski-out type, and access to unique shops, restaurants and a bit of nightlife, the Pearl Apartment may be just for you. 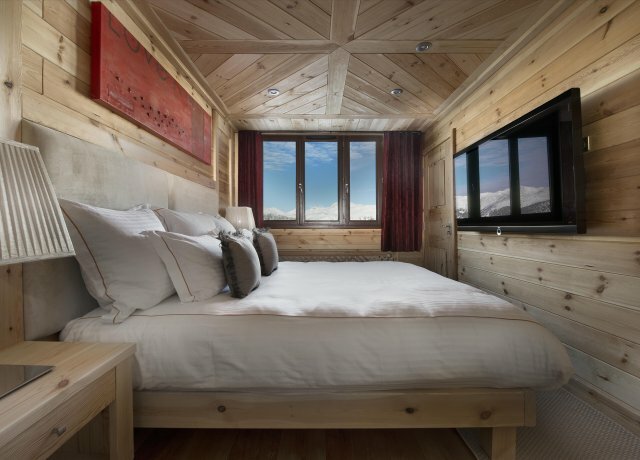 Set high above the French alps, it is located within the La Croisette area. 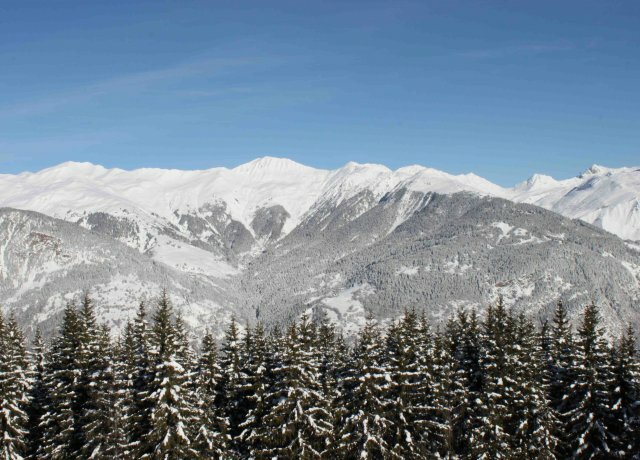 This puts you in the heart of the Courchevel 1850 resort, directly on the slopes, nearest the primary lift, and close to the very best shops, restaurants, and non-ski activities. Naturally, you need more than just a good location if you are to enjoy a rejuvenating vacation, and this three-bedroom property has a lot to offer. 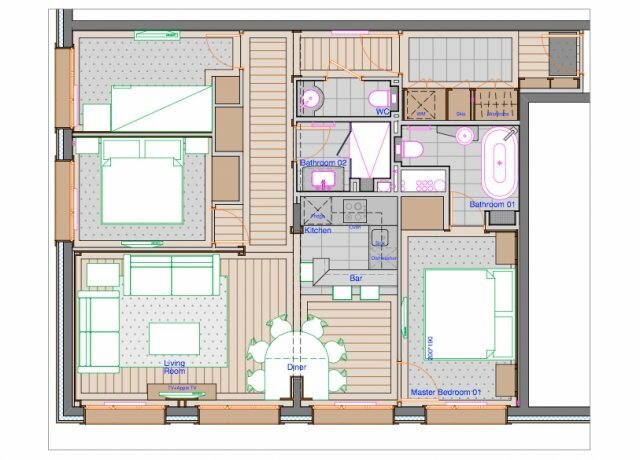 Spacious and elegantly designed, it features a good blend of private and shared living spaces along with some surprising amenities. The focal point of the apartment is the stunning great room. With its bank of windows gazing out to the show-stopping views, it will instantly become a favorite spot. Within this bright and yet soothing space, you will find the large living room with entertainment system. This opens into the formal dining area that also gazes out at the scenery. Nearby, the bar opens into the fully-equipped kitchen - enabling you to savor the views even when making drinks or meals. The apartment also features a private laundry suite for your use. Your stay also includes housekeeping, luxury linens and toiletries and fresh flowers. The three bedrooms are in tune with the rest of the space and are decorated in that same low-key yet chic manner. 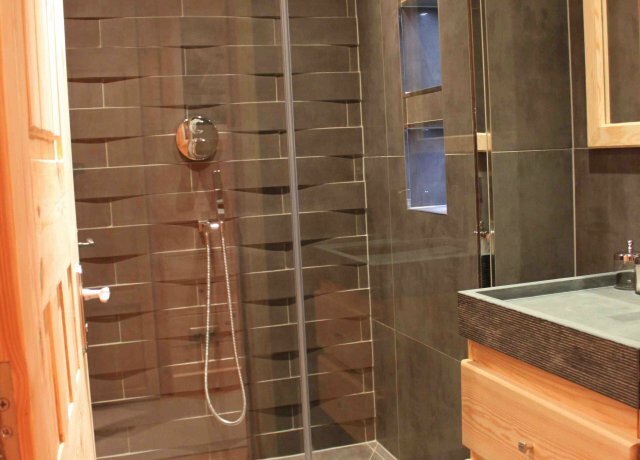 The master suite features a queen bed and a large, private bath with separate tub and shower. 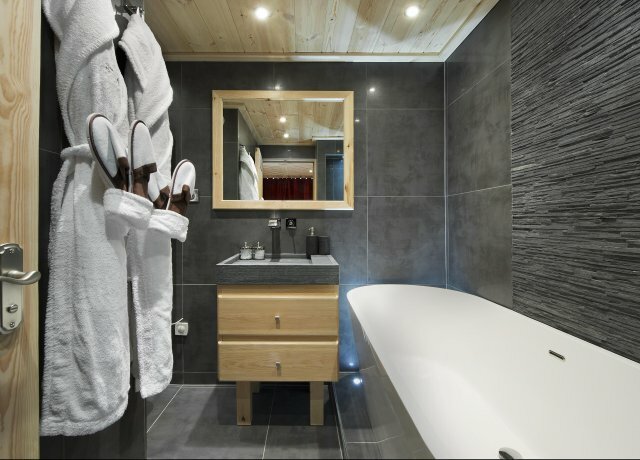 The remaining suites include a double suite and a children's bunk room - which share a bath. All of the rooms have Wi-Fi and premium entertainment systems. 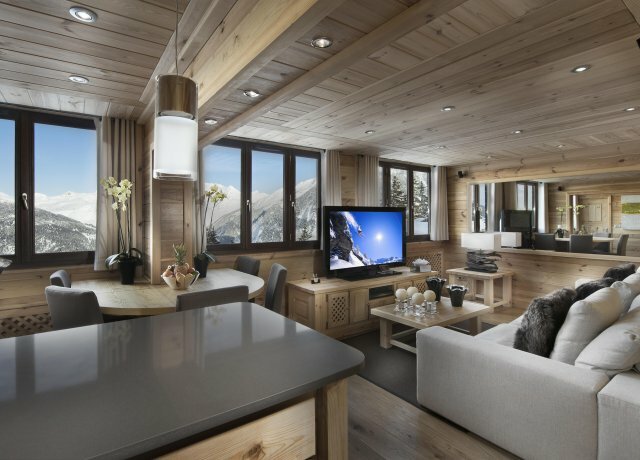 The Pearl Apartment is a wonderful balance of contemporary style, privacy, comfort and all in an impossible to beat location for the ideal ski holiday. The rental rates include daily housekeeping service, daily change of bathroom linens, bed linens changed every 2 / 3 days, bathrobes and slippers, bathroom toiletries, fresh flowers, utilities and WiFi internet capabilities. Bedroom 1 : Master bedroom with queen-size bed, WiFi, Apple TV, heating and en-suite bathroom with bathtub / shower, vanity and WC. 2 guests maximum. Bedroom 2 : Double bed with WiFi, Apple TV, heating and a shared bathroom (with the children's bunk bedroom) with shower, vanity and separate WC. 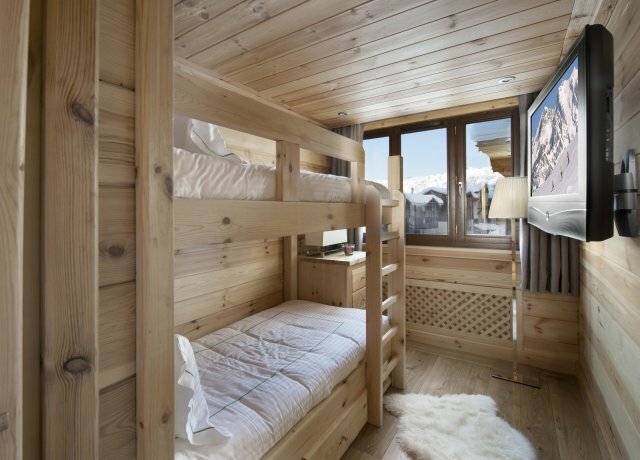 Bedroom 3 : Children's bunk bedroom with 2 Alpine style single bunk beds, WiFi, Apple TV, heating and a shared bathroom with Bedroom 2.